Today is the day that I was hoping to call myself an MCSE, I am thrilled to hear that some who have taken the challenge have completed it and I am not shy to admit to my failure. This is not the first time that I’ve failed an exam and I am 100% positive it will not be the last. However I feel that this failure is the most beneficial to me because I have a greater understanding of what needs to be focused on, and what can be completely ignored. While taking the exam I noticed it is mostly OpsMgr, followed by ServiceMgr, Orchestrator, Runbook Designer, and finally VMM. My exam was 40 questions long and some of them were complete guesses that I had to make. When asked what they tested on the best I can really describe is a lot on integrating the pieces and even more on setting up monitoring and reporting. If you are at TechEd this week I strongly encourage you go take the exam even if you have never touched it in your life, because at least on you have taken you, you know what to focus on. Over the past 3 weeks I’ve been in and out quite a bit from the twitter conversations; however I have still been following along. Things became a bit overwhelming switching from being a student to full time and the opening of my pool and Diablo III coming out was extremely distracting too. I am not too far off from my current plan; however I do feel I need to catch up considering I still do not have a fully functioning lab. I had given up on the unified installer after wasting tons of time on it and decided that it would be more beneficial for me to build everything out manually. Building everything manually is much much more time consuming however I feel I have greater in-depth knowledge doing it this way and do not regret this decision at all. In the past 3 weeks most of my time has been spent building my lab; but I’ve also spent time watching videos and finding new resources. I’ve watched a few of the MMS videos and below I have two that I feel are very beneficial to everyone and I’ve also found a new resource that I haven’t gotten to use yet but I do believe will be greatly beneficial. I can already feel this is going to be a very challenging Tech Ed, I am excited to see everyone and I strongly encourage everyone continue their studies even after Tech Ed is over! On April 15th @MichaelBender challenged the readers of MS Learning’s Born To Learn blog. 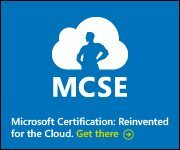 The challenge is to complete the Microsoft Certified Solutions Expert: Private Cloud Certification. This certification requires five exams, I have completed three of these already so I decided that I will take on the challenge of completing two of these exams by/at Tech Ed! I am required to complete two exams, however there an extra exam that is a possible substitute. The exam is the 70-659 (Windows Server 2008 R2, Server Virtualization), which will count as the 70-247. Throughout this blog post I am going to outline my tentative schedule and some of the learning resources I’ve already gathered. DO LABS! – This is the best way to learn is by doing!